“But there are only about 200 nations in the world today,” you say, having read my previous article in which I envisioned 6,000 language nations for the promised kingdom of our Lord. You’re right, and that’s because we’ve tolerated too much of the latter-day wine of Babel, man’s own brew of confusion. We’ve thrown and bundled the people together till the world has been afflicted with the killer disease of ethnic strife. From the Americas and the United Kingdom in the west, through the Balkans, looking southwards into Africa – not overlooking my home country Nigeria, a classic case of how ethnic conglomeration can be a pain in the neck and a stumbling block to progress – and all the way into Russia, the Middle East and the Far East, we’ve seen men at arms, exacting the heavy toll of millions of lives, all because of a self-serving agenda that unequally yoked them together. “But did you say 6,000 nations? 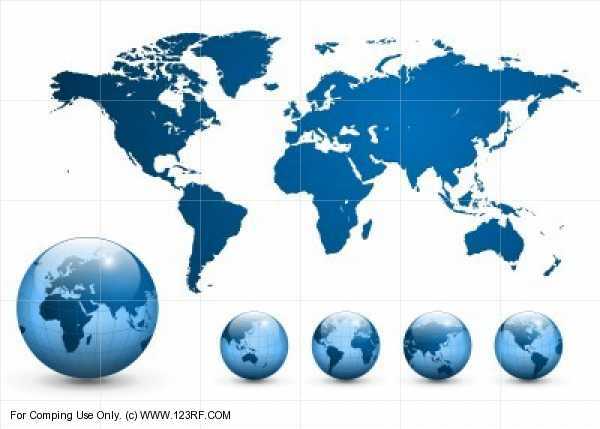 What small territories those would be.” Well, going by the total surface area of the earth (509,600,000km2), that would create nations with an average size of approximately 85,000km2 – a little bigger than present day Austria (83,849km2), or the United Arab Emirates (82,880km2), or the US state of South Carolina (82,931 sq km). That certainly isn’t too small. You should, however, not misinterpret this disappearance of the seas as a total doing away with all water bodies. It says “sea,” and not “lake,” “river,” “brook,” “pond,” “fountain,” etcetera. I believe the idea is that, instead of the present condition in which we have huge continental blocks enclosed by water, it would be the other way round. No matter how big or interconnected the water bodies might be, they would be enclosed by land. That way you strictly “no more” have a sea but a lake. And, of course, “new earth” does not mean the creation of another. As I noted in In My Father's House, the newness is like that of the life of the believer in Christ; it implies a redemption and renewal, or makeover, of the old. 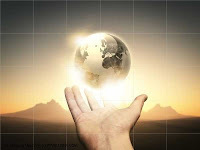 As I also noted in that article, the full realization of this New Earth is the ultimate goal of the Millennium! By the time the evaporating fires and tumbles of the Lord’s Day have taken their toll on the present world (see II Peter 3:7-13 and Revelations 6:12-17), like the fire of Lot’s day did on Sodom and Gomorrah (see II Peter 2:6), we would have a very much different and more tranquil world, which will be breathtakingly rebuilt over the thousand years of the kingdom! But just in case you still want to think in terms of the present dry land area of the earth, the envisioned 6,000 nations of the Millennium would have an average size of about 25,000 km2, which is comparable to that of present day Israel (between about 21,000 km2 and 28,000 km2, depending on who’s doing the talking)! Wonderful! I repeat, wonderful! 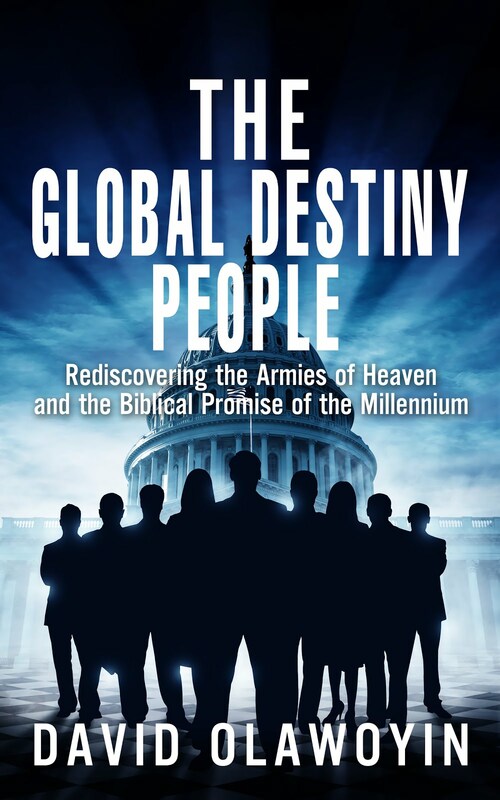 This by itself might pass for another witness of the envisioned 6,000 nations of the kingdom. Yes, not only were the nations of the earth separated by language, as I noted in Language Nations, but it is also said that they were patterned after Israel! “When the most High divided to the nations their inheritance, when he separated the sons of Adam, He set the bounds of the people according to the number of the children of Israel” (Deuteronomy 32:8). Israel is the prototype, the reference point. Yet, with this coming regeneration that we are talking about, I do not think the millennial Israel would be the same “quart jar” of land that we see on the map today. Neither would any of the other nations, so to say. This envisioned pairing of the provincial bishops, as any good Bible student knows, is consistent with the divine method of operation among men. An excellent instance is found during the King’s first mission to Earth. According to the Gospels, He sent out His disciples “two and two before his face into every city and place whither he himself would come” (Luke 10:1). I see in this an indication of millennial things to come! Remember the words of the Lord, “Before they spring forth I tell you of them” (Isaiah 42:10). Saints of God, as we can see, there are some very high offices to be occupied in the promised kingdom, which I believe should encourage and energize our commitment in our present Christian life and service (see Pound Wise and I Timothy 3). I realize that in Kings I depicted these provincial Bishops as the members of the Executive Cabinet of the millennial nations, while here I am likening them to the state governors of those nations. I am not contradicting myself. Just keep the faith, and remain posted.